When the conference moved their corporate headquarters just outside of Chicago, a 2,900 square foot space was allocated in their new building as an area to present the Big Ten brand story and its 14 distinct academic institutions. The challenge was to create the entire brand experience from entry to exit for guests including Big Ten dignitaries, academics, students, alumni, and media. Recognizing that dusty old trophy cases and captions wouldn’t do justice to telling the Big Ten legacy, existing assets were audited and categorized, and new media assets were produced ensuring each university and sport received equal and balanced coverage. The Big Ten Experience features hundreds of custom videos, games, social media and archival footage to engage audiences of all types. We designed an immersive Big Ten Theatre within the space to showcase originally produced short films created by our team. The “Alumni Letters” exhibit is one of our favorite parts of the space – we personally engaged each university’s most iconic alumni to write original letters reminiscing about their collegiate experience. This exhibit features heartfelt letters from NBC’s Tom Brokaw (Iowa), ESPN’s Michael Wilbon (Northwestern), and Space X’s Gwyn Shotwell (Penn State), among many more. 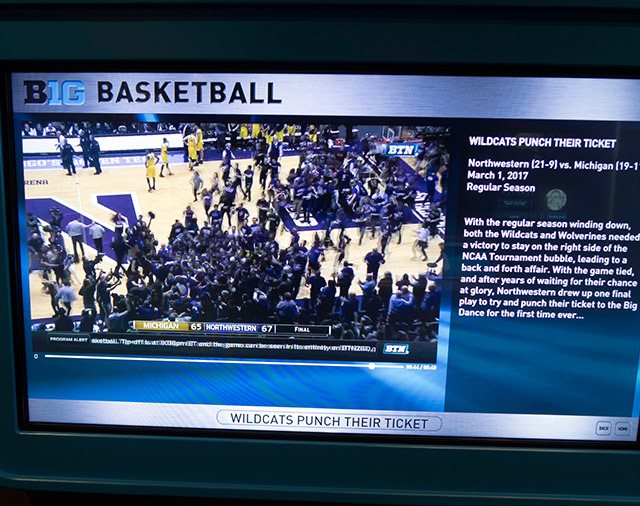 We created multiple Big Ten experience pods so fans can relive those scenes that give us goosebumps – everything from famous buzzer beaters to fantastic football finishes, and more. We customized hundreds of videos for each university and sport, and created an interactive game space that includes a “Heisman pose” photo area. 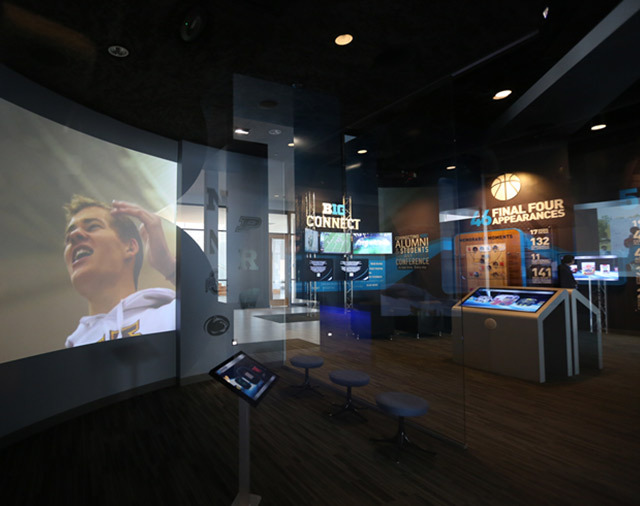 The Big Ten Experience takes the research, sports, and alumni stories of 14 universities and brings them to life through interactive displays, hundreds of custom videos, games, social media and archival footage. 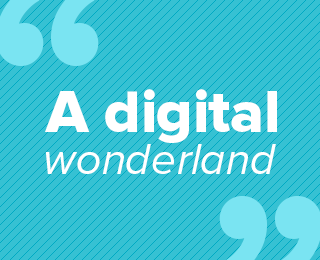 Our client calls it “a digital wonderland” and “a terrific experience for Big Ten fans of all ages.” We see it as delivering on the promise of the Big Ten and a showplace for all it stands for in college excellence. To learn about how we can help transform your company’s headquarters, get in touch with Katie [at] TeamWorksMedia.com.